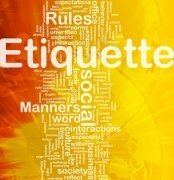 The etiquette guidelines for respect and courtesy are most needed in situations that involve sensitivity to the feelings of others. Especially in gray areas like workplace romance. The workplace or any place where professionalism is always expected is rich with gray areas. The instinct to make friends is common to all, as is the instinct to flirt and find romance. Many a married couple met at work; love and romance can blossom anywhere. Most of us enjoy a little flirtatious fun at work now and then. Whether at the water cooler, at lunch with fellow workers, or dinner with co-workers, a little flirting and light humor adds interest to your day and can lessen the tensions of pressing issues or challenges. Flirtatious behavior will always exist in a work environment. Some of this behavior may evolve from lighthearted fun to romantic relationships. Unfortunately, the strong feelings involved can lead to unpleasant events and complicated office interactions. There are various levels of flirting. On the lower end of the scale, you have the unintentional. Teasing or light banter with the goal of sharing a laugh is common with this behavior. Supporting and congratulating someone for her good work may even be included at this level. 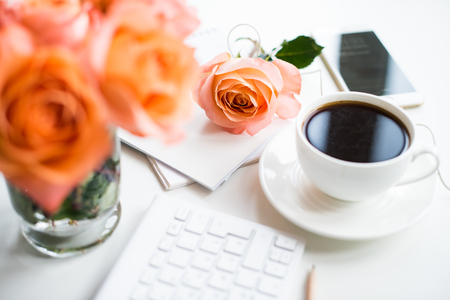 You may work with someone who makes a point of stopping by your office, cubicle, or work space just to say good morning. Light conversation ensues and you might even make plans to meet for lunch. You have things in common with this coworker and you discover that "friendly" might become "friend." Then your coworker leaves a breakfast burrito and coffee on your desk. He or she may pick up the check for lunch, pay for drinks after work, or ask you to a movie. Something more is going on. At this point, you may be subtly entering a dating relationship with your fellow worker. As professionals, a conversation about a possible emerging situation may be needed to clear the air. Being mindful, sensitive and honest anchors etiquette. Each work environment is different and has written as well as unwritten rules about acceptable social behavior. Sexual harassment rules are generally well-established and should not be taken lightly! Keep conversations, humor, and physical contact with those you work at a professional level. If the time comes that you want to move beyond the middle of the flirting scale to the top, be absolutely sure your coworker is amenable to this. Pay close attention for any signs that your advances are unwelcome. People who are married or in long-term relationships also enjoy uplifting and lighthearted banter and spirited admiration. But it's important to remember that close, friendly behavior can be confused with inappropriate sexual flirting. Once a workplace romance is in full-swing, there is always the chance that it may end. I truly don't intend to be a downer here, but it is a reality. The complications of a romantic break-up can upset a company or office, affect morale and productivity, and has also been known to end careers. Before entering into a romantic relationship with someone at work, consider what your job and work environment will be like if it ends. Proceed only if you know you could continue a civil working relationship. Otherwise, it may be time to spruce up your resume. Actually, this would be a happy beginning, or a happy continuance. You've probably heard the love story that begins, "We met at work." Don't you love those? If you're in a partnership, you can imagine how easily this story began. If you're single, you wonder if this is how your love story will begin someday. An inevitably good thing is that people develop bonds with colleagues that go beyond lunchtime conversation. And sometimes these in-depth relationships deepen into romance. In the workplace, people share common interests as well as spend much of their time in close vicinity. It’s a natural place for love to happen. Even if you develop rules and guidelines about office relationships, you never know when you’ll “fall interesting into each other,” as one person recently described how she fell in love with her now husband. While it's always best to err on the side of caution where workplace romance is concerned, there are times when the pathway through this minefield is clear cut and completely worth the journey. You may also be interested in reading . . .
Have Your Romantic Feelings Been Rejected?